A key part of this strategy is the belief that the running community is made up of tens of thousands of micro-communities that overlap – races, running clubs, running stores, timers, as well as many technology providers. Our strategy is to enable each of these communities to leverage our technology. The biggest example is how most of the registrations on RunSignUp are actually happening on another website with our widget. Our strategy is becoming very well accepted. While we are a young company, we grew by over 500% this year over last. Hundreds of thousands of runners registered for races or joined running clubs. We had over 3,300 races created in 2013 compared to less than 1,000 in 2012. We also had over a dozen technology partners, led by RunScore and The Race Director, use our Open API this year to make life easier for race directors and timers. This is the key to our success. Even with the growth, we are seeing increased levels of customer satisfaction. We measure customer satisfaction with a survey we ask race directors to take after each race, and we continue to get high marks. In addition, the anecdotal testimonial quotes we receive are very nice motivators for us. Of course the most important factor is “word of mouth”, and most of our success is coming from race directors, club directors, timers and store owners telling each other about how they love RunSignUp. We sincerely appreciate the increased business. Thank You! In fact, this is not by chance or for free. We made very big investments into our How To system to provide over 50 How To Videos as well as full Manuals and written documentation with screen shots along with Search capabilities. We also added new Help for each and every page on RunSignUp. We log each support question we get on info@runsignup.com and if we see a pattern, we know something is wrong and we try to fix the problem at the root cause – making the product easier to use and understand. In fact this has added up to a growth in our support queries of about 2X even though we are supporting 5X the number of races and registrations. The other big move we made this year was to 365 Day support coverage. We have at least one person monitoring the info@runsignup.com email account every single day of the year. Our great employees have volunteered to take weekend shifts and since we have enough of us now, it is not too much of a burden. And it absolutely delights customers who have an issue on the weekend, when there is a lot going on for timers and race directors. As you see from our strategy, we view ourselves as the technology experts that you can rely on. Our deep backgrounds in building scalable solutions for the web is a key asset that customers count on. And our rapid release of new and improved features assures our customers that they can continue to count on us to keep improving. Our Cloud technology platform is very strong and stable. We achieved 99.9981% up time in 2013. In addition, it allows us to continuously make changes without having the system to be down at all – in 2013 we made over 2,000 “deployments”. This means we made a change to the system (sometimes just fixing a typo, sometimes deploying a huge set of functionality like Teams 2.0) without impacting any user of the system. We also had a couple of races that sold out quickly and we were able to keep response time at our server level at about 0.2 seconds and for users with fast Internet access at less than 1 second. 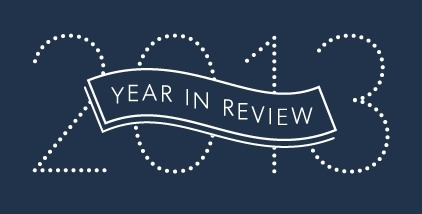 We had over 200 blog posts in 2013 that covered increased functionality – all of this was based on user feedback. From Corporate Teams based on feedback from the Kaiser Permanente Corporate Run/Walk in Atlanta and the Verizon Wireless Classic, to enhanced Social, Ad tracking and Analytics capabilities for The Graffiti Run, to our deep integrations with RunScore and The Race Director based on feedback from countless timers. The type of achievements we have had in 2013 are based entirely on people. We have an incredibly committed team. That team has grown this year. Andrew Sigwart joined us full time to do customer support and all of the How To Videos and Documentation. Bryan Jenkins has joined us and brings the type of reputation we seek for ourselves of supreme customer service and deep knowledge of our industry. He has brought a wealth of knowledge and advice for our company and is making a real impact to our growth and strategy. He has also helped bring on another key person to help customers, Matt Sinclair, in September. Sue Lindeboom also became an employee this year to handle finance. While our system is highly automated and structured to be self-service, we are prepared to continue to grow to meet customer success. We are very lucky to be at this great intersection of positive feedback cycles between technology, our people and our customers and partners. Our ambition is to keep that positive cycle going in 2014 and beyond. We are well positioned to continue to grow fast, but more importantly make our customers successful by building great, useful technology.